If it’s a grand run you’re looking for then look no further than the historic Norfolk market town of King’s Lynn. Each year thousands of runners take part in the Grand East Anglia Run (GEAR) 10K, attracted by a scenic route that features the pretty town centre, River Ouse pathway and The Walks and impressive landmarks including the Custom House, Red Mount and Greyfriars Tower. And this popular event continues to go from strength to strength, selling out in both 2017 and 2018. 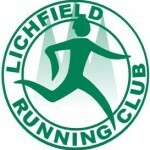 So if you want to get a fun, friendly and fantastic spring event in your 2019 running diary, now’s the time to snap up a place. Please leave comments and questions about this race in the "Leave a Reply" box below - this way your questions can be displayed here on Race-Calendar.com publicly. After you have taken part in this race, you may leave a review in the same box, so that runners looking back on this event in future years on this website may see how you found it! Click here to jump straight to the simple form and leave your comment, question or race review. Race results for this event will become live here when they are submitted to Race-Calendar.com using the Race Results submission form. Please check back later. If you have race results for this event, or a link to a URL containing race result, click here to submit results.